A class of students at RIT worked to complete and publish Splattershmup, a video game that combines Asteroids-style play and abstract art. 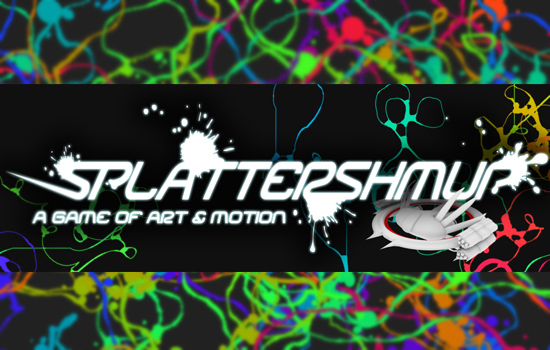 Splattershmup, a video game created by a class of 15 Rochester Institute of Technology students, is being internationally recognized for its creativity and professional polish. The game was selected for the 2015 Blank Arcade exhibit at the Digital Games Research Association conference held May 14–17 in Germany. The exhibit highlights experimental games and artwork that push the boundaries of game design and theory. The game marks the first time that an RIT class has set out to produce and publish a complete game. The free desktop computer game is a cross between a shmup—a classic shoot ’em-up arcade game, such as Asteroids—and abstract Jackson Pollock-style action painting. 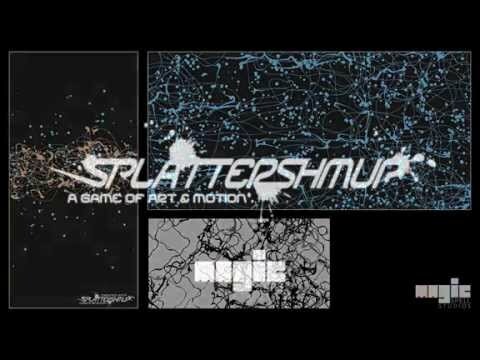 Splattershmup was chosen for the exhibit among about a dozen other submissions and will be featured in a video reel at the conference. More than 40 projects were submitted from Europe, North America and Asia. The game was produced throughout the Fall 2014 semester as part of Production Studio, an elective course offered through RIT’s School of Interactive Games and Media with guidance and support from RIT's MAGIC Center. Phelps, who came up with the original game concept and introduced students to the idea at the beginning of the semester, taught the course. In the third-person game, players fly throughout the world shooting at targets. Through movements in the video game, players create a work of art that they can compare with other players. After creating a prototype and then polishing the game, Splattershmup was released online in open beta Feb. 26. It was also showcased on the expo floor at Game Developers Conference 2015. Phelps plans to attend the Digital Games Research Association conference in May to showcase the game at Leuphana University Lüneburg. The 2015 DiGRA conference seeks to encourage questions about the diversity of play, with a focus on the multiple different forms, practices and identities labeled as games and/or game culture. To learn more about Splattershmup, read the original RIT News story. To play the game for free, go to splattershmup.rit.edu.